Decision Trees PowerPoint templates, backgrounds Presentation slides, PPT Themes and Graphics. Any organization can achieve success only if they have perfected their decision making process. Apart from smart and dependable professionals, a process needs to be framed to ensure that each aspect is taken into consideration before coming to a final decision. With the help of these templates you can create amazing PowerPoint presentations which can highlight the importance of having a decision tree in the management. 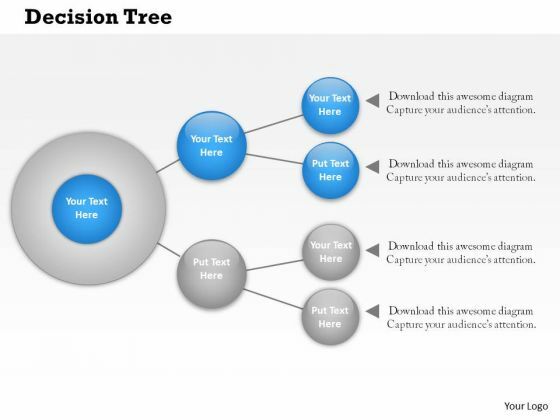 You can educate your audience about how a decision tree is a decision support tool which includes tree like graph or model of the available decisions and their possible consequences, including chance event outcomes, resource costs, and utility. This one way to display an algorithm allows the management to get an overview of what might be the best and worst outcome of any decision. With these presentations you can share how decision trees are used in operations research specifically decision analysis, to help identify a strategy most likely to reach a goal, but are also a popular tool in machine learning. 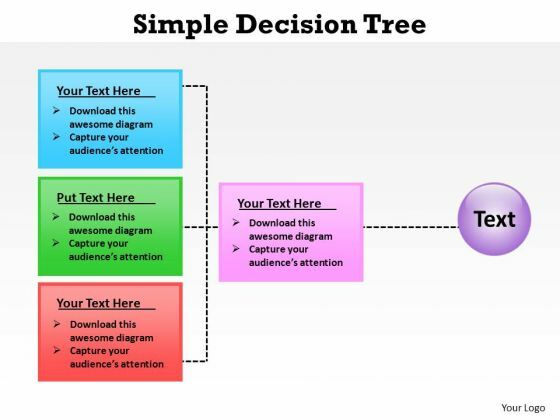 You can share decision tree templates or examples which will help your audience understand the ideal usage of the same. These templates have been given a corporate look to make them appear professional and impressive enough to make a mark on your management. These templates are customizable and allow the user to edit them further to ensure that they meet the requirements of the presentation and lead to a perfect Decision Tree PowerPoint presentation. This PowerPoint template contains tree diagram. This diagram is suitable present formal social media, communication and network. Visual effect of this diagram helps in maintaining the flow of the discussion and provides more clarity to the subject. 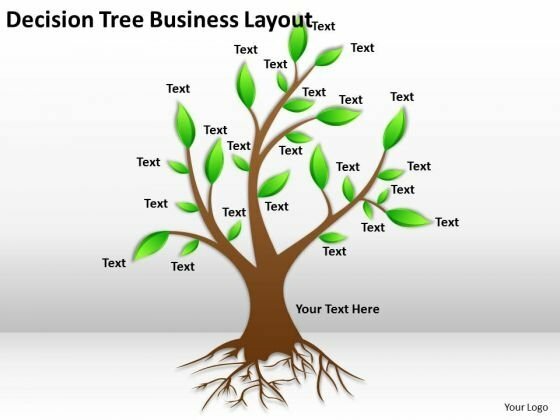 Take the plunge with our Tree Diagram With Social Media Icons Powerpoint Template. Success will surely ensue. This image slide displays decision tree business framework. Use this image slide to express views on marketing research and analysis. You may change color size and orientation of any icon to your liking. This image slide will impart professional appearance to your presentations. Draft It Out On Our Timeline Ppt Template Decision Tree Business Layout Powerpoint Templates. Give The Final Touches With Your Ideas. PowerPoint Process Chart Simple decision Tree PPT Template--These amazing PowerPoint pre-designed slides and PowerPoint templates have been carefully created by our team of experts to help you impress your audience. Our stunning collection of Powerpoint slides are 100% editable and can easily fit in any PowerPoint presentations. By using these animations and graphics in PowerPoint and you can easily make professional presentations. Any text can be entered at any point in the PowerPoint template or slide. Just DOWNLOAD our awesome PowerPoint templates and you are ready to go. Edit plans with our PowerPoint Process Chart Simple Decision Tree Ppt Template. Download without worries with our money back guaranteee. Exhibit multi-discipline industry expertise with our PowerPoint Process Chart Simple Decision Tree Ppt Template. They will make you look good. 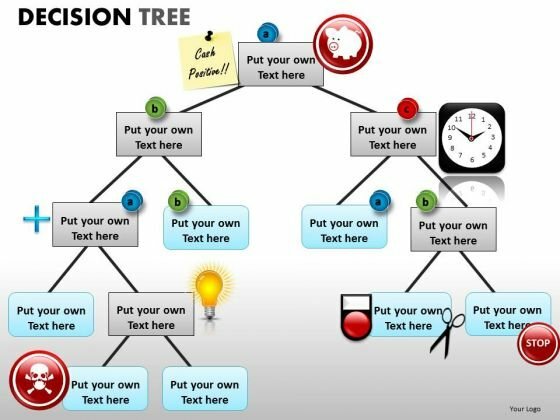 Decision tree PowerPoint Graphics for Decsion Making Presentations-These high quality powerpoint pre-designed slides and powerpoint templates have been carefully created by our professional team to help you impress your audience. All slides have been created and are 100% editable in powerpoint. Each and every property of any graphic - color, size, orientation, shading, outline etc. can be modified to help you build an effective powerpoint presentation. Any text can be entered at any point in the powerpoint template or slide. Simply DOWNLOAD, TYPE and PRESENT! These PowerPoint presentation slides can be used to represent themes relating to --"Arrow, black, blackboard, blank, blue, brainstorming, chalk, chalkboard, chart, color, decision, diagram, dust, eraser, frame, green, making, map, mind, nobody, note, pattern, smudge, square, sticky, white" Evaluate options with our Decision Tree PowerPoint Graphics For Decsion Making Presentations. Discern the best course of action to follow. Our Decision Tree PowerPoint Graphics For Decsion Making Presentations can be very feisty. They takeup cudgels on your behalf. 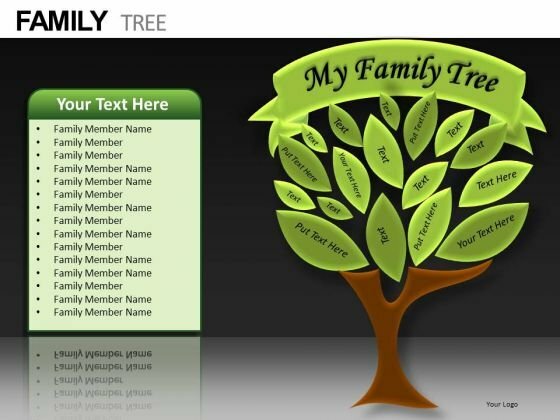 Ancestry PowerPoint templates-These high quality powerpoint pre-designed slides and powerpoint templates have been carefully created by our professional team to help you impress your audience. All slides have been created and are 100% editable in powerpoint. Each and every property of any graphic - color, size, orientation, shading, outline etc. can be modified to help you build an effective powerpoint presentation. Any text can be entered at any point in the powerpoint template or slide. Simply DOWNLOAD, TYPE and PRESENT! Our designs are proven winners. Be a winner too with our Ancestry PowerPoint Templates. You'll always stay ahead of the game. Get extraordinary with our Ancestry PowerPoint Templates. Your thoughts will achieve well above the average results.